There was no formal offer of aid through the official channels of the UAE – it was merely a verbal gesture. The Indian state of Kerala, known as God’s own country, has become the victim of nature’s wrath and is experiencing the worst floods of the century. Thus far, the floods have left 445 people dead and dozens missing. In the hilly regions, floods have caused landslides which have exacerbated the destruction of homes, bridges and road networks. Around 1/6th of the population of the state has been directly affected, and the central government has declared it a level-3 calamity, which clearly indicates the severity of the catastrophe. First of all, it is worth exploring why God’s own country has come under God’s ‘wrath’. For all the farrago of superstitious explanations coming from various quarters, it needs to be cleared that the floods can be classified as a manmade disaster, as stated by eminent ecologist Madhav Gadgil. A 2011 report submitted by the Western Ghats Ecology Expert Panel, headed by Gadgil, had apparently warned that ill-thought developmental practices were ruining the ecological sustainability of the Western Ghats hill chain, one of the world’s most biologically diverse areas. The report advised many states, including Kerala and Karnataka, to follow sensible and sustainable development policies near protected forests in hilly areas. The report was rejected by the ministry as well as by both states, yet the worst damage of these floods took place in the areas where the Gadgil committee recommended protection. Indeed this is a great warning, not just for India but for the entire sub-continent. South Asia has lately been on a development-centred economic growth spree to improve its infrastructure and cater to its fast increasing population and demand for jobs, housing, recreation, and food. With the China-Pakistan Economic Corridor (CPEC) underway, this drove has further strengthened with a strong sense of strategic competition and rivalry. However, the states involved need to exercise caution in this rat-race for development. Coming back to Kerala, I would like to address the controversial issue of foreign aid for the floods. Many Indian media platforms are running stories of India rejecting foreign assistance from the UAE, and projecting it as an example of inhumanity. These stories have strong undertones of turning the issue into a political vendetta against the current central government. The implication here is that the aid was rejected because the central government is being partial against the state government, for it is run by a party other than the Bharatiya Janata Party (BJP). Further, one can also sense a subtle intent to add a communal colour to the issue, as the state of Kerala has a substantial Muslim population, many of whom work in the Gulf States and follow the Wahhabi school of Islam, adding strong cultural and economic linkages with Arab nations. However, the issue is clearly being blown out of proportion. The media and intellectual quarters are foregoing rationality to add political baggage to their op-eds. First and foremost, it must be noted that there was no formal offer of aid through the official channels of the UAE – it was merely a verbal gesture. Secondly, the policy of not accepting foreign aid is neither recent nor a BJP invention – the same was done by former Prime Minister Manmohan Singh when the US and Japan offered humanitarian assistance during the 2013 Uttarakhand floods. Earlier on in 2004, India refused to accept American aid for rehabilitation after the Tsunami. The reason for this is that India is economically self-sufficient and has a robust disaster management infrastructure. India is currently the sixth largest economy, and second largest state in terms of population. Thus, it has the ability to generate funds and provide humanitarian relief, as is the case for the Kerala floods. There exist paramilitary cadres and organisations like the Central Reserve Police Force (CRPF) and National Disaster Response Force (NDRF) with high-quality expertise in the field. Further, as stated in the parliament by the Minister of State for External Affairs, General VK Singh, over the past years, India has become a nation that has given more foreign aid than it has received. He also suggested that as the country’s international stature and economic heft grows, India should avoid taking aid from foreign countries. After all, accepting foreign assistance does not rhyme well with India’s growing global stature and economic heft. Another question that comes to mind while accepting foreign aid is of the informal and unwritten obligations that emerge alongside it. If a country takes assistance from a foreign country, in many ways it loses part of its strategic autonomy. Hence, when India is in the position to self-finance its relief efforts, it would not be sane to accept foreign aid instead. Moreover, the state and centre have done a commendable job in disaster management thus far in Kerala. The state has provided shelter to over one million people in over 3,200 shelters, and the centre has provided assistance of Rs600 crores. 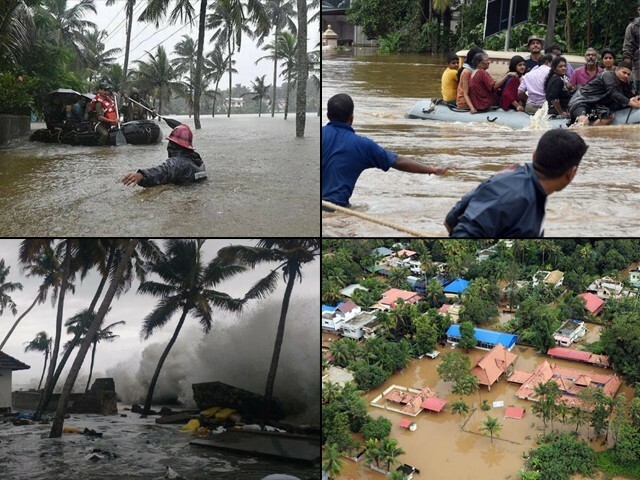 All Indian states have provided financial and other kinds of assistance to Kerala, and many civil servants, politicians and ordinary civilians have donated a month’s salary to relief efforts. This shows that India is indeed capable of handling the matter internally. Finally, in a gesture of goodwill, newly elected Prime Minister of Pakistan, Imran Khan, also offered humanitarian assistance after the disaster. Once again, while India has sincerely expressed her gratitude to Pakistan’s new government for offering relief assistance, it has not accepted, as per its policy. However, this need not be the reason to deduce that this comes as a jolt to peace-making efforts between the two countries. On the contrary, Pakistan’s gesture has been appreciated in official and civilian circles. In India, people have strong hopes when it comes to Imran and his Naya Pakistan. Imran is already a hero in India, not just because of his celebrity status, but also due to his tree-plantation initiative in Khyber-Pakhtunkhwa (K-P). His earlier interactions with India and Indians during his cricketing days and his study of Indian states like Bihar proves in certain terms that he has a better understanding of India and its concerns. I believe his vast public following, sincerity, and out-of-the-box thinking makes a perfect combination to achieve a breakthrough in Indo-Pak relations, provided he gets enough support from within. On India’s side, Prime Minister Narendra Modi has expressed his commitment to good India-Pakistan ties, and has clearly stated that India is looking for constructive and meaningful engagement with Pakistan. Hence, there is no reason to portray India’s refusal to accept Pakistan’s help as an indication of stiffening relations between the two countries and take it as a signal to make doomsday predictions – especially given this refusal has nothing to do with Pakistan and everything to do with India’s stature and its internal policies. The sky is the limit for cooperation between India and Pakistan, and substantial progress and dialogue can easily take place between the two, as long as there exists an overall atmosphere of peace and goodwill. Galaxy, as the rest of us are. 1) So Bharati refusal of aid was all right? Eh? How so? It must be karma? No Humza, no, you are dead wrong. Canadians are not stupid. with the reactor, eventually, down the road. Fully aware. You have no idea how much money exchanged hands, under the table. Or what long range economic and other plans/deals were made. bane of Pakland. And has brought it to it’s knees. Only a Son of the Soil would think Hindustan would not use the reactor for nefarious purposes. Pakland’s ship on course, on track,…which they are still doing. No, it is not about building toilets. It has to do with religion. in their houses, abodes, etc. They used the fields. of Bharat to not build a toilet in the house. Because it desecrates the house. It is part of Hinduism.